Santa Cruz Skateboards is the oldest brand in the business! Rick Novak, Doug Haut and Jay Shuriman, surfers from Cali, founded the label in 1972 - and they’re still going strong! The Star Wars collabs in particular have helped the company stay on its feet. The P2 deck construction comes with a Kevlar-reinforced wood veneer and is very innovative - proof that SC’s still on top of their game! 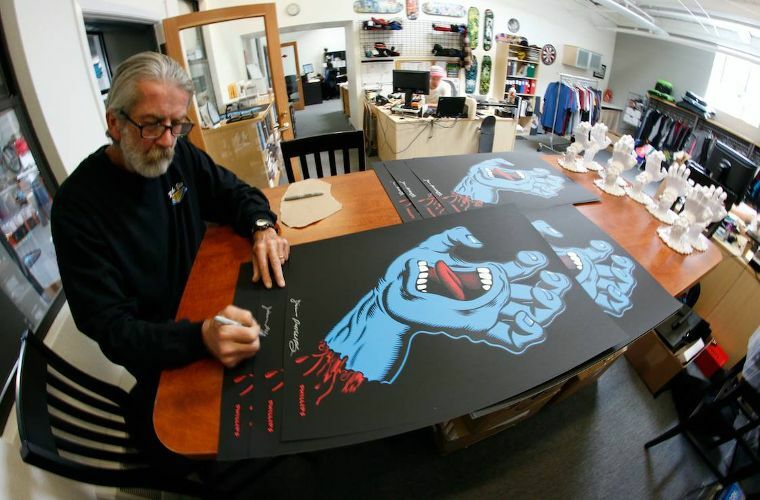 Santa Cruz’s stuff and skateboards are distributed by NHS Inc., one of the oldest companies in the business. The letters N, H and S stand for the initials of the last names of SC’s founders - did you notice? Independent Trucks, Creature, Flip Skateboards and Ricta Wheels are all owned by NHS. In addition to the pros Emmanuel Guzman, Justin Strubing, Sid Melvin, Shuriken Shannon and the amateurs Mikey Curtis, Josh Borden and Travis Erickson, a whole long list of skate vets such as Eric Dressen, Tom Know, Jason Jessee and Steve Alba have cemented their legendary status by skating for the label. .Want more skateboards? Browse our online shop!